Do you sometimes feel like you just need more room in your head? Like there’s little space in your brain to concentrate on important things because you’ve got a lot of other tasks, thoughts and emotions which are taking up room? I did. 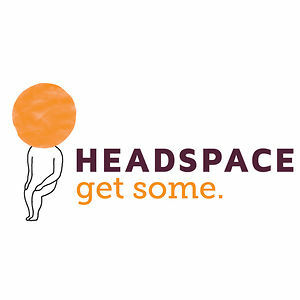 On the encouragement of my mate Bevan I decided to give Headspace a crack. Headspace is described as a gym membership for the mind. A course of guided meditation, delivered via an app or online, that you can undertake sessions in length from 5-20 minutes per day. Apparently 80% of business leaders and entrepreneurs engage in some meditative practice daily, and while obviously not the sole reason these people are successful, some swear by it as the making of them. And this is daily meditation – not yoga for 90 minutes, 1-2 times per week, but small amounts of time to sit down and just ‘be.’ If you’re reading this then you’ll know I’m about more than just food; anyone who has come to see me in the clinic knows that I spend around two-thirds of the time talking about seemingly ‘non-food’ related lifestyle information. However most of you also realise that these elements of health can’t be changed in a silo – they all affect each other and help uncover whether your dietary habits are working for you or against you. I’d resisted Headspace (and any kind of meditative practice) as I thought that you had to be quite ‘Zen’ to even do it. Which, when I think about it, is kind of ridiculous given that the whole purpose is to help you sit with your own thoughts, not try to get rid of them or shut them down. I also thought that I had to do it for at least 20 minutes every day in order to experience benefits (and who has 20 minutes?!) Again, this is also incorrect. In fact, these misconceptions were really the first of many I’ve discovered after doing Headspace consistently over the last 100 days, some I’m sharing today. I am a person prone to anxiety. These things run in my family. My nana wasn’t a particularly happy person until she went on medication for her anxiety – quite frankly, this didn’t dramatically change her personality but it certainly made a change to her disposition. Others in my family are also more likely to feel depressed or worried and anxious, so I would use the label when describing to people (or even when I thought of myself) as the type of person I am. I have thought a lot about this over the last couple of months. I don’t think Headspace enabled me to view the world so differently that I don’t respond with an anxious head and heart – I think what it has done is enable me to view myself differently. I had set up this belief in my head that I was a person with anxious tendencies, and with this firmly planted in my head it dictated how I described myself to others and, more importantly, how I responded to the world around me. Do you know how liberating it feels to be free of this? I actually can’t describe it, but it has noticeably changed my thought patterns and subsequently my actions. The thing is, beliefs do that – they create this lens with which how you interact with other people and the environment without really realising it. People who have started and stopped diets multiple times in their lives almost unconsciously label themselves as a failure when it comes to eating well. Is this you? Do you embark on a ‘diet’ or ‘way of eating you already ‘know’ that you will fail? Changing these belief structures are key to changing whatever emotional or physical road blocks that might exist when trying to change your diet. Headspace has also made me realise that I needed to get rid of a lot of things that were either in my emotional space or in my physical space. I’m not a minimalist (though not a fan of trinkets), it’s more of a ‘get rid of things that don’t matter’ declutter. Books I don’t need yet I have hung on to. Clothes I don’t wear yet can’t get rid of. I’ve deleted over 400 people from my personal Facebook page. And if you’re one of them, it’s not you it’s me (genuinely). I have tried a few times over the last two years to do this but I could never make the start as I would scroll through the list of friends, hand hovering over the ‘unfriend’ button, and come up with reasons as to why I couldn’t delete that person. This time I went into the exercise with a different set of questions. As basic as it sounds (and perhaps you can concur), the first question I asked was ‘do I actually know you?’ I used to love Facebook as a way to connect with friends, old and new and this is just a way of bringing it back to the reason why I signed up in the first place. And, the reality is, the people that have ‘unfriended’ probably just never got around to doing it first and likely won’t even realise I’ve done it. Again, this may not just be about Headspace, but I think it made me more aware of ‘stuff’ that takes up unwanted space in my physical and emotional surrounds and this helped me make a start and declutter. What about you? Do you feel burdened by ‘stuff’ to a point where you feel you’re wading through quick sand but not getting anywhere? Do you need to declutter your physical space, your emotional space, maybe even people around you to create room for behaviours, habits, feelings and people that will serve to help move you forward rather than hold you back? If you don’t really know, then meditation can help you step back and evaluate the ‘stuff’ that is important and positive and the stuff that is not. When I bring the idea of meditation up with people in my clinic I get a mixed response. People are so willing to change their food, their exercise and even their sleep habits actually before trying to change their thought patterns. In fact, without the latter most people are not going to see any sustainable, positive changes in the former. I get it. In today’s fast paced, stressed-to-the-max world where there are demands on your time from every corner, it’s difficult to imagine where you are going to find more time to do one more thing. However, you really can create more time by doing some form of meditation. It’s just difficult to believe until you try it. And, hey, maybe you don’t need it. However, if the idea of taking 10 minutes out of your day to sit down and just ‘be’ sets you in a panic because you are just far too busy, then perhaps you do need Headspace*. Buddhify is another popular app. Or even Youtube some meditation practices if you’re unsure of how to start. There are so many of them out there that if one doesn’t grab you, I’m sure you’ll find another that does.